The thymus gland is placed within the upper portion of your chest. 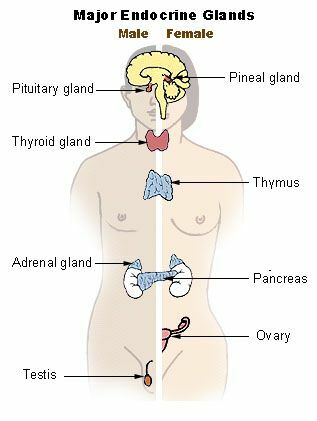 This gland is responsible for making several different hormones and plays a key role in your endocrine system. It is also necessary for supporting your immune system because it helps develop white blood cells that are known as T-cells. When you have an infection or illness, these T-cells are responsible for attacking the foreign bodies without hurting your other cells. The thymus gland is located within the upper part of your chest cavity. It is a two-lobed structure that goes into the neck region slightly. To the left is the heart pericardium. Underneath is the thyroid. On either side of the thymus, you will find the lungs. This gland has a thin outer layer that is made up of three cell types: lymphocytes, neuroendocrine cells and epithelial cells. 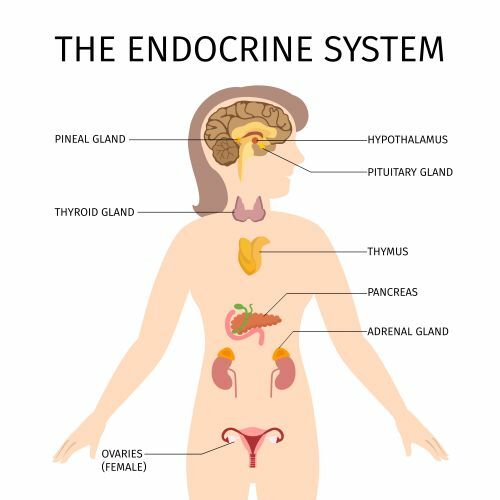 The neuroendocrine cells release the hormones while the lymphocytes protect you from illnesses. Meanwhile, the epithelial cells provide a structure for the organ. The outer area of the gland is known as the cortex while the inner area of the lobule is the medulla. Immature T-cells are located in the cortex, and mature T-cells move to the medulla region. The main role of your thymus gland is to make cells that can protect your body from antibodies and produce hormones. The following functions are all carried out within the thymus gland and are vital for the health of your body. T-cells are a necessary part of your immune system. Your thymus gland helps to make these lymphocytes and T-cells to boost your immune system. Once your T-cells are created, they are sent to the lymph nodes and your spleen. Once there, they are responsible for fighting off pathogens, bacteria and viruses. They create the antibodies that your body needs to stay healthy. If your thymus gland is not functioning properly, it could mean that you have a higher risk of developing malignancies like cancer and tumors. The thymus gland prevents anomalous cell growth through the T-cells. First, the T-cells are transferred from your bone marrow to the thymus gland. They then stay here until they need to be activated. Once they have matured and are needed, they move to the lymphatic organs to help fight off abnormal cell growths and divisions. Another function of the thymus gland is to create a hormone that is known as thymopoietin. This hormone is actually a type of protein that is encoded by the TMPO gene and can be found within messenger RNA. The production of thymosin hormone in the thymus gland also helps to stimulate lymphocytes and your lymphatic organs. Hopefully, your thymus gland will function fine for the rest of your life. If it is not functioning properly, you may have a thymus gland disorder. The following disorders are possible causes of thymus trouble. There are two kinds of carcinomas that can occur in the thymus. These are known as thymomas and thymic. These carcinomas are basically cellular growth that happens on the outside of the gland. Thymomas cells are slightly different than thymic cells because they grow at a slower rate. Individuals who have autoimmune disorders have a higher risk of developing a carcinoma here. When you have a carcinoma, you may experience a persistent cough, chest pain or problems breathing. SCIDs is a type of genetic defect that causes gene mutations in your T-cells. This extremely rare condition includes about nine different genes that can mutate and form SCIDs. For children, the condition is especially dangerous and often requires the child to live in a completely sterile environment. DiGeorge syndrome is another genetic disorder that affects the thymus gland. It happens because a piece of a chromosome was deleted or does not exist. This makes the immune system’s organs develop poorly. If the disorder is severe, the symptoms will also be more severe. Once someone has developed DiGeorge syndrome, they generally will have it for life. Diagnosed in young children and infants, this condition can lead to delayed speech, underdeveloped jaws, learning disabilities and developmental delays. Thymus enlargement can occur, although it is extremely rare. Myasthenia gravis is another thymus disorder as well. This autoimmune disorder is rare and is caused by the acetylcholine receptors. There are several different treatment options available for people with different thymus gland disorders. If the cause is genetic, gene therapy may be used. Certain medications may be prescribed to treat conditions like myasthenia gravis. Likewise, a bone marrow transplant may be given to people with conditions like SCIDs. For DiGeorge syndrome, the patient may be given a thymus transplant in severe cases. For milder cases, immune cells may be given. Meanwhile, chemotherapy, medication and radiation therapy may be used to treat cancer.